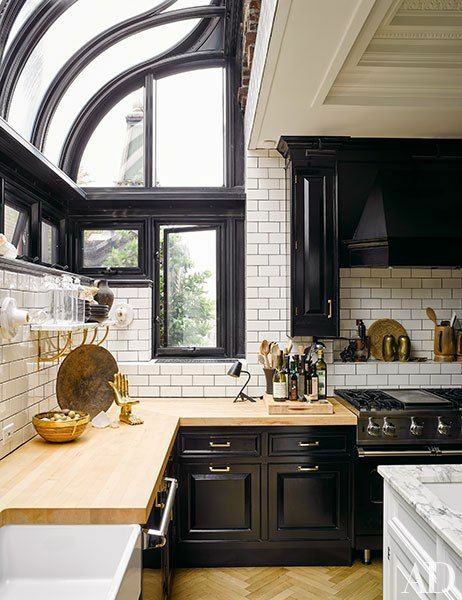 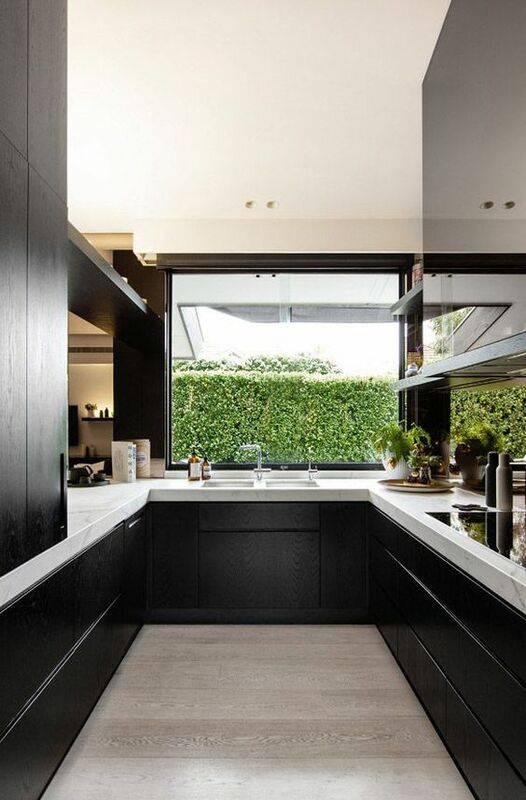 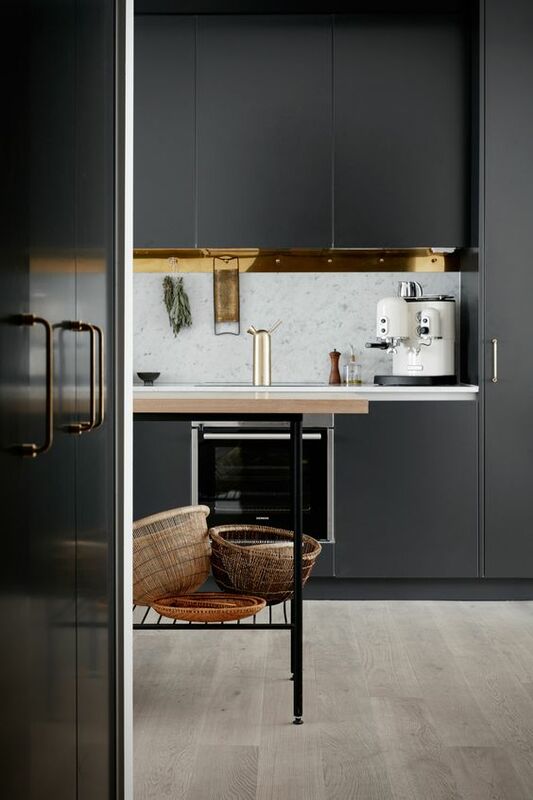 I have a confession, it's a little obsession with black kitchen cabinets. How stunning and dramatic do they look? 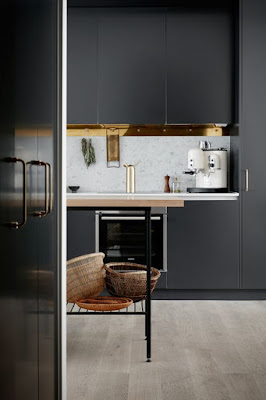 I particularly love them paired with marble and gold. I would love to have them when we renovate our kitchen. 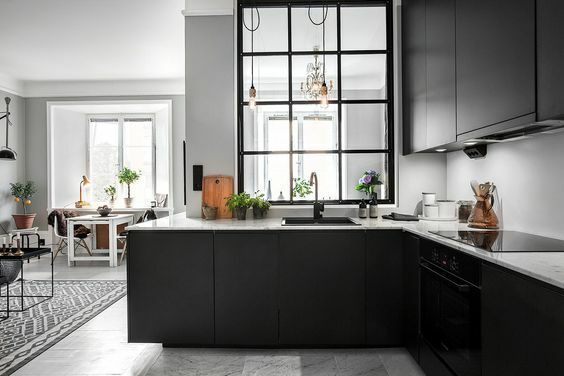 And this classic look with that amazing window.